Amazingsubmitted by Yaritza A. - Jul 25, 2018 |Recommended: YesLiving here is peaceful, the sistem of security is great and the apartment has what you need microwave, stove, refrigerator, dishwasher and laundry appliances . It feels like a house, but in an apartment. The property is clean submitted by Sherrie B. - Jun 24, 2018 |Recommended: YesLehigh Square is one of the better places to lease an apt. I've been here for about 5 years now. I witnessed my share of office staff come and go, but this team we have now is one of the best since Carmello Dawn were here This team really cares about us and treats the residents with care and dignity. Rick does a really great job keeping up with the demand of renters moving in and out, also services our work orders in a timely fashion. I tell people if they want to live in a clean quiet neighborhood to look here first before anywhere else. Beautiful property, too loud neighborssubmitted by Erin L. - May 31, 2018 |Recommended: NoI feel it is a nice safe environment, however, too loud neighbors detract immensely from feeling comfortable. My door to my room should not vibrate when the upstairs neighbor is playing his her music and they do this often especially on holidays and weekends. I am now looking for a home to buy. Love it here submitted by Stephanie H. - May 31, 2018 |Recommended: YesCompared to other complexes where I have lived, this one makes me feel the safest. Nobody has access to the inside of the building unless they have a key or know the pin to access entry. It's clean. Staff are professional try to accommodate you as best they can. Downside I would say would be the extra utilities I have to pay like water, sewer trash. In other places, I've never had to pay any of those. There is also a fee for the gym pool. I feel that with the apartments already being a tad bit expensive, those utilities extra amenities should be included. Just my opinion. I would still recommend this place to those who can afford it. La La La Love It submitted by Naisha R. - Mar 01, 2018 |Recommended: YesIt's very peaceful, quiet, everyone is nice. It sold me with pool, gym, kids park even though I don't have any and the dog park. Wish they had wood floors though. Current tenant, will be moving soon submitted by Mariah F. - Jan 22, 2018 |Recommended: NoWhen I first moved here in 2014 this place was great and I loved the staff. As the staff and management have changed this place has went down the drain even with all their updates. Maintenance barely responds and marks your request as complete while you wait MONTHS for someone to come fix anything. With the rent going up every year I will not be renewing my lease once it's time. Lovely property, Love calling this my home submitted by Ashley R. - Dec 09, 2017 |Recommended: YesWe like living here because Lehigh square is homey. One thing we do not like is how we can hear the neighbors above us late at night. Took several complaints for management to actually take care of it. When something needs fixed, Maintenance is usually pretty good about keeping on top of what needs to get fixed. Parking is always available no matter what time of day or night it is. Building are secure so you need a key or a pin to get in the front door and a key to get in the back. We love that they allow dogs There is a dog park, playground, Fitness center, pool, and grilling area which when we were looking for a place, these things were really hard to find.  Overall, We love Lehigh Square apartments. A Good Experiencesubmitted by Patricia C. - Nov 10, 2017 |Recommended: YesI've liked living here - my neighbors are nice people most of us are professionals going about our business - and I feel safe in my apartment. The leasing office has taken good care of me - there has been some staff turnover but the relief staff has been knowledgeable. When I've submitted work orders for small jobs the maintenance crews have come the very next day and have always resolved the issues. There are more expensive rentals out there - but this has proved excellent value for money - I paid for a one bedroom with balcony and in-unit washer dryer. It's been very cozy in my little place. Mostly clean and well kept. submitted by Jamie C. - Nov 03, 2017 |Recommended: YesThe office and matience staff are friendly and accomodating. Depending on your building it can be a very peaceful or loud place to live. The complex is a comfortable place to live insubmitted by Danielle B. - Oct 04, 2017 |Recommended: YesLehigh squares is a nice complex to live in. Everything has been updated and or renovated. Love the grills and the pool in the complex and has a gym and a play area for the children, and a doggy park. I love that it has security system to where not everyone can just come into your building. Overall, I'll recommend anyone to the complex. Great for entire familysubmitted by Jonathan H. - Aug 23, 2017 |Recommended: YesLiving here is a breath of fresh air. My family and I have recently moved here from NYC and it's such a delight to be here. The apartment has great light coming through the windows, the amenities are great, and the staff couldn't be more helpful.